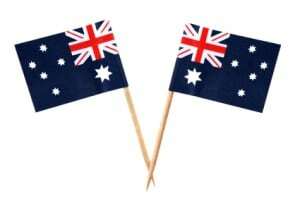 January 26 is Australia Day – the anniversary of the arrival of the First Fleet in 1788. It’s a national public holiday; and Citizenship ceremonies will be held in 125 different locations around the country. As a migration agent team we love Australia Day! Being Summer in Oz, it’s customary to have a Barbecue on Australia Day – and Lamb is the meat of choice! There’s lots of concerts, festivals, outdoor activities and fireworks! Whatever you choose, it’s a glorious day to celebrate the great nation we live in!